Home / BPO / What Is A Voice And Non-Voice Based BPO? BPO stands for Business process outsourcing and it is a Business practice by which one organization hires a different company for performing a task. The hiring organization carries out this process to improve the operation of the processes of Business which requires special skill. There are excellent BPO services like the bpo in India which can carry out this task entrusted by a Business. Primarily, BPO has its roots in manufacturing Industries and the manufacturers engage the service of call centers in India to handle specific processes. These processes may involve part of supply chain and back-office functions and several other important services. A short discussion of the role of BPO and where it is used is useful to understand the subject. Role of BPO: BPO service is mainly used for outsourcing two main areas of a Business process which are front-office functions and back-office function. An organization can use the front office outsourcing for various functions like the customer relations service, sales, and marketing. Similarly, the back office functions like the It services, HR, email handling, chat support, etc can be handled by back office functions. BPO is widely used for marketing advertising and survey purpose very effectively through both Voice and non-voice service like the call center support services. While the voice-based BPO is directly engaged with the customers, non-voice BPO work is primarily a back office job. Third party help from BPO can improve the customer experience by providing excellent and innovative customer service. Both the voice and non-voice based BPO are widely used in Businesses to make an effective marketing strategy. Nowadays Businesses gain a significant leverage for market penetration by using the service of BPO. The gamut of operation of call center services in India is vast and if effected intelligently can yield significant results. Both the voice and non-voice service can gauge the user experience in great details and can provide the Business necessary information about the customer feedback. Business, on the other hand, can take the necessary action to improve the products and services in order to have a better user experience. The hiring of Outbound sales call center can be an excellent strategy for enabling the marketing team of a Business to work more efficiently. 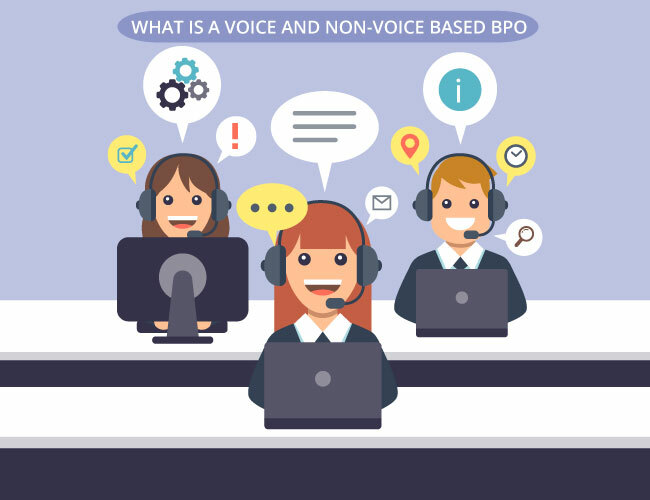 What is a Voice and non-Voice based BPO? Both the voice and non-Voice BPO jobs can provide very effective customer service by providing support for twenty-four hours. Voice jobs may require having good oratory skills and good communication ability in English. The non-voice process may not require excellent oratory skills as the persons working here will not have to interact with the customers directly. An example of excellent voice and non-voice BPO is the call centers in Delhi which can deliver excellent service in such processes. A detail discussion of voice-based BPO service and non-voice based BPO service is made in the following paragraph to make the subject clearer. What is a Voice process? A Voice process consists of two processes which are inbound voice process and Outbound Voice process. Inbound Voice process: As the name implies, this process handles all incoming calls of the customers and these calls may be regarding various types of issues. When a call is received from a customer, a customer care representative will try to resolve the issue. The issue can be resolved over the phone instantly or a suitable complaint will be raised. A customer can make a phone call to the customer care for certain technical support, or raise a complaint. Also, the call can be made for billing issues or else to know about various offers and plans being offered by the company. When the call center services executive clears the issues raised by the customers, it can help to sell the products more easily. Outbound Voice Process: An Outbound process is tougher than the inbound voice process as here the customer care executive is needed to make n call to the customers. The customer care executive has to gain the attention of the customers while making such calls and start pitching for the product. It is important to explain the benefits of the products in a meaningful way that can make an appeal to the customers. Normally a customer care executive makes hone call for selling a product and to resolve an issue. Also, the call is made to explain the latest offers made by the company and what benefits are there with the offers. It is very important for an outbound call center outsourcing agency to convince the customers about the benefits of products. Service of a suitable outbound call center is gaining in popularity as it can make a significant drive to earn more revenue. What is Non-Voice process? Unlike the call center outbound, this process does not require to receive or make a phone call to the customers. This process requires the skill for writing or typing and the ability to understand the type of query for making the right processing. This is a very important process for handling customer issues through emails and chat support. Email support in Non-Voice Process: Email support involves processing a number of information sought through emails and to send a suitable reply. It is very important to know the drafting skills for an email and to send appropriate information in Email support. Though email support does not involve interacting with a customer through voice, it needs to be resolved within a short time. Email support can be very effective to gain customer confidence by resolving the issues in a systematic way. 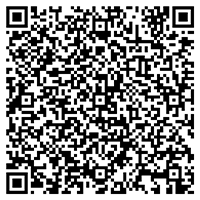 It can be very unobtrusive and will not cause any disturbance to a customer while it can sell the main points easily. Chat support in a Non-voice process: Compare to email support process, the chat support process is much tougher as it requires spontaneity on the part of customer executive. The executive of call center services may be needed to answer questions of various customers at a time which requires a lot of skill. Normally in such a process, the rate of traffic is higher in the daytime as compared to nighttime traffic.